Hair clip, oval bezel hair barrette with a pretty patterned edge. Lovely design. Measures 34 x 53mm. Bezel measures 25mm. Clip style clasp. Antique bronze.Perfect for embellishing. Sold by the piece. Oval Hair clip, oval bezel hair barrette with a floral cut out edge. Just Lovely. Measures 45 x 53mm. Bezel measures 25 x 35mm. Clip style clasp. Antique bronze.Perfect for embellishing. Sold by the piece. Floral Filigree Hair pins, decorative bobby pins or hair clips.so pretty. Measures 35 x 25mm. Flower measures 25mm. 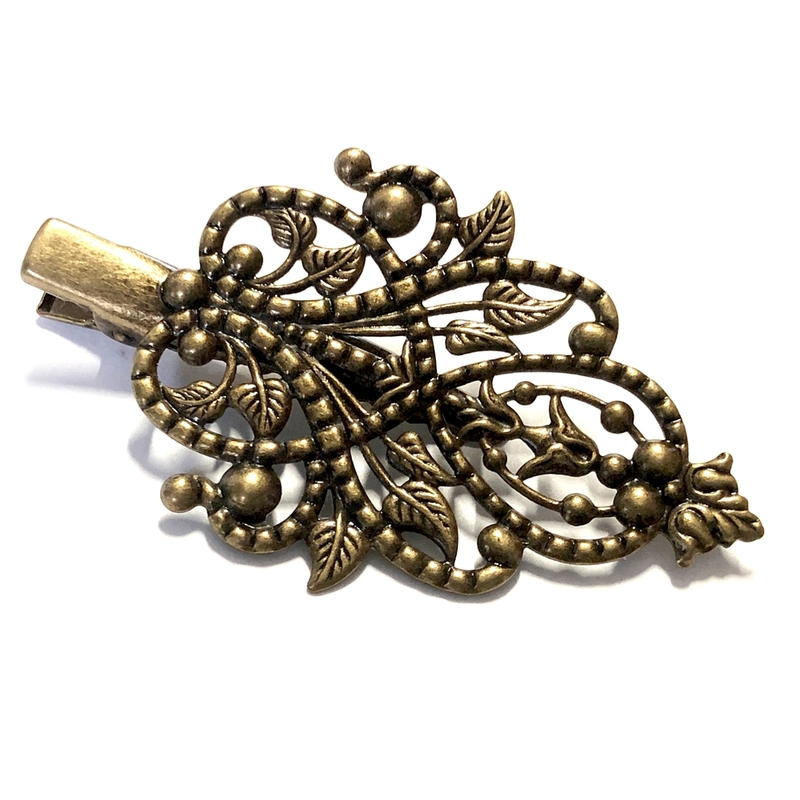 Antique bronze.Perfect for embellishing or lovely as is. Sold in a pair. Silvertone Base Metal Alligator clips, measuring 1.25 inches long. Ready for you to embellish!! Sold in twenty-five piece (25) packages.